Description: Here is an AWS cloud construction template which is downloadable and editable. Edraw users can build new AWS diagrams upon this template. 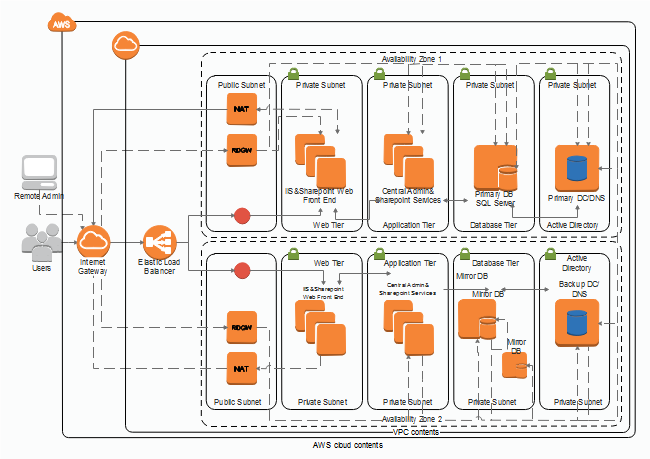 Within our AWS architecture diagram maker, you can find all AWS icons for constructing AWS models.